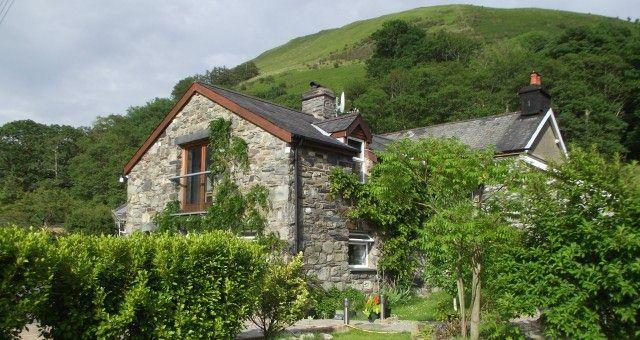 Dolffanog Fach01654 761235work Guest AccommodationSituated at the heart of Snowdonia, Dolffanog Fach is a 17th century farmhouse, nestling at the foot of the awe inspiring mountain of Cadair Idris, near the beuatiful Talyllyn lake. Sara and Carl aim to offer the warm and friendly service of a traditional guesthouse with the standards and luxurious touches of a boutique hotel. At Dolffanog Fach you will never sleep on anything but sumptuous Egyptian linen. All our quilts and pillows are Polish Goose down*, all our linen is crisp Egyptian cotton. A perfect combination to ensure a memorable nights sleep. NB *hypo allergenic quilts and pillows are available, please feel free to ask. Bathrooms at Dolffanog Fach have been completely refurbished with slate floors spots and travertine wall tiles. All Rooms have a tasteful welcoming feel, exuding quality and warmth, and are named after well known authors. As well as a hearty breakfast, we can provide packed lunches and, in the evening, a delicious 3-course dinner in the intimate setting of our candlelit, slate-floored dining room. We also stock a range of fine wines, local beers, cider and spirits. Unwind in our Finnish sauna: for those guests who appreciate the therapeutic effects of a sauna, we have created an oasis of calm. Our large 6 person Finnish sauna is complimented by a relaxing chaise longue, bathrobes and magazines. Relax in the tranquility of our delightful garden overlooking Talyllyn lake, or relax beside an open fire in our cosy guest lounge, filled with books, DVDS and board games and exudes warmth and comfort. A real treat on a winters night. This is a very special place and it is important to us that you have a wonderful stay. It is the little things that make the difference, like the care and attention we will devote to your needs, no matter how great or small. We want your time with us to be totally relaxing and when you leave us you feel refreshed by the experience. Children are most welcome from any age. 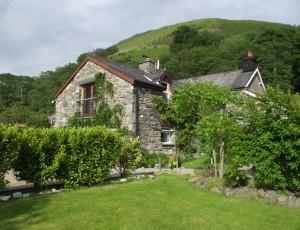 Situated at the heart of Snowdonia, Dolffanog Fach is a 17th century farmhouse, nestling at the foot of the awe inspiring mountain of Cadair Idris, near the beuatiful Talyllyn lake. From the A487, take the B4405 for a mile. The stone built house is on the right hand side with a tarmac car park at the rear.